My Summer Front Porch this year is filled with patriotic colors and lots of fresh flowers. I love this time of year when the weather is mild. 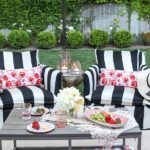 It gives me great incentive to go out and get my patio spaces ready for some outdoor entertaining! 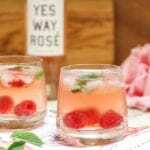 I am also sharing one of my favorite recipes for a delicious rosé cocktail! 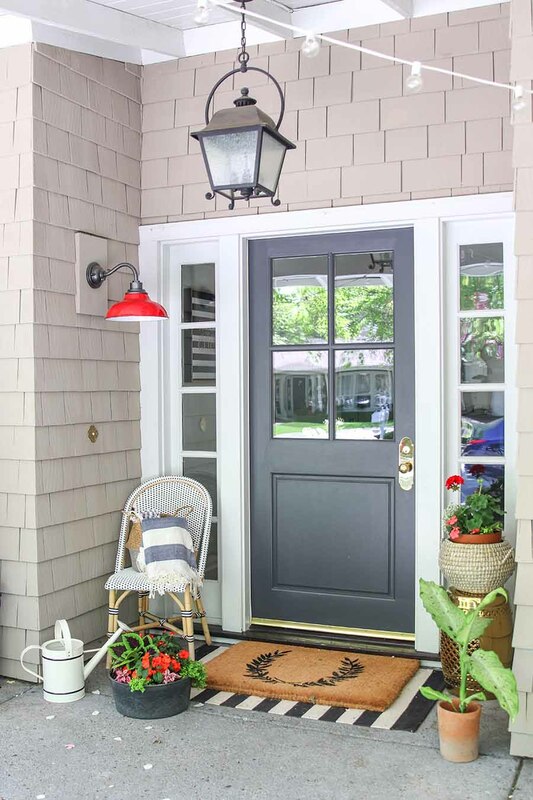 For summer I like to bring in a pop of red to my front porch. I added some geraniums, Allysum, Impatiens and Hypoestes to my pots. You can see a walking tour of what I did on my Instagram Highlights. One of my favorite parts about our home is our front porch during summer. We have a wide covered porch that allows for some front yard seating. I love sitting our here and watching my kids ride their bikes on the street and enjoy the warm spring weather! We have some cafe lights strung across the porch that add a certain magical quality to the scene. Because twinkly lights shouldn’t just be for the holidays right?! We set these on a timer to go on dusk and off after 4 hours. Last summer we purchased these hanging chairs for our front porch. While they were an investment, we haven’t regretted the decision one bit. I often get asked if they are comfortable and my answer is always YES! So comfortable in fact that my husband often falls asleep in them! I placed some Euro sized pillows on them as a cushion and I keep some throws on hand for those cooler evenings. This seems to be the popular spot for happy hour and where we gather with neighbors. And there is always some rosé somewhere nearby! 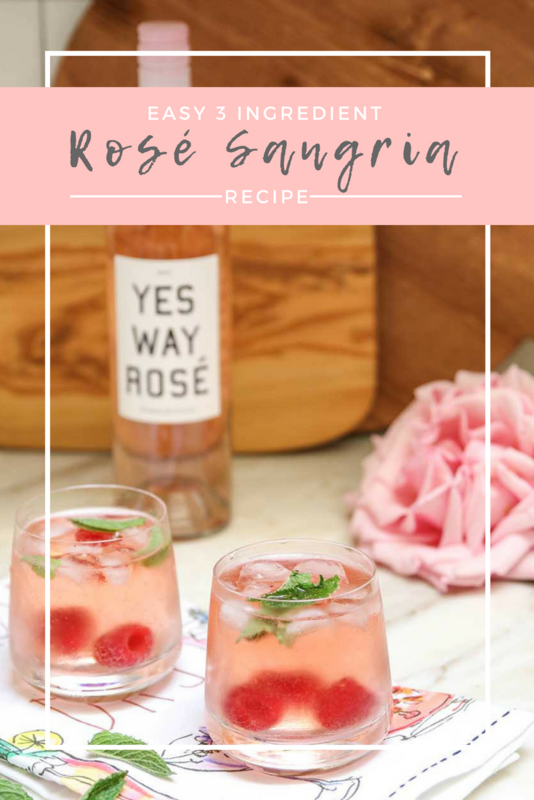 One of my favorite recipes for easy entertaining is this Rosé Sangria. Using just 3 ingredients and whatever fruit you have on hand, this is the perfect summer cocktail! 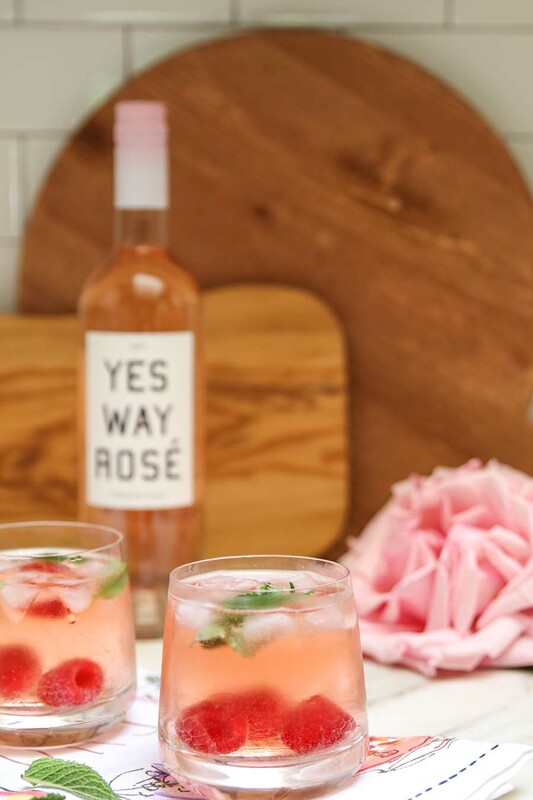 After all, rosé season is just around the corner! Mix all ingredients together in a big pitcher. Serve over ice. Optional: garnish with additional fruit or ice. Additionally, you can mix all liquids together and have guests put fruit and mint into their glass and pour the liquid ontop for the freshest presentation. 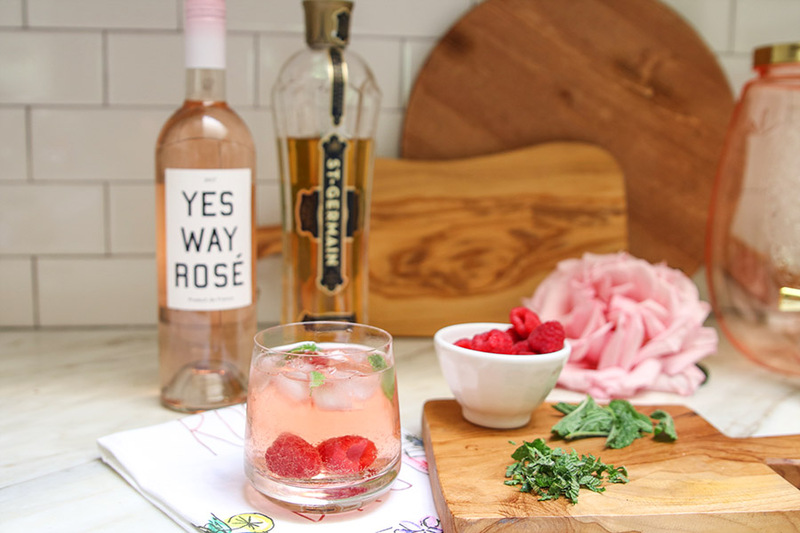 This would make Build-Your-Own Rosé Sangria bar. 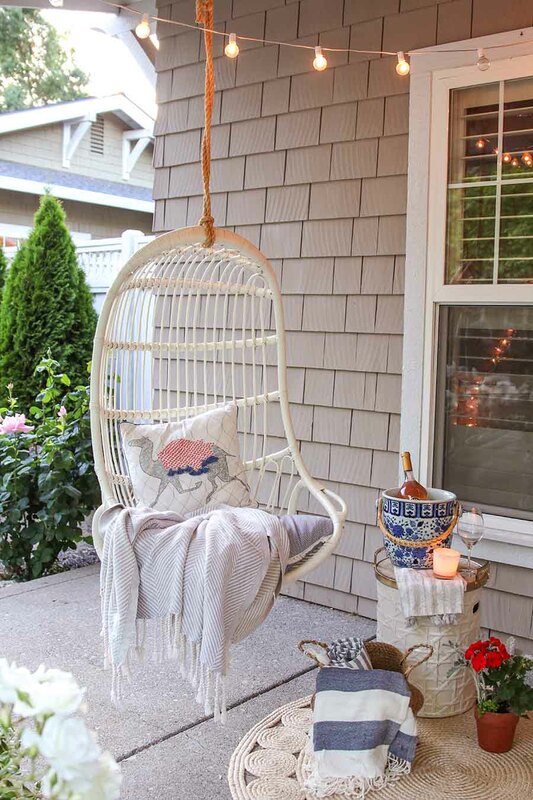 I hope this got your juices flowing and you are inspired to start decorating your front porch for summer! Be sure and stop by next month where I will give you a tour of my backyard entertaining space! 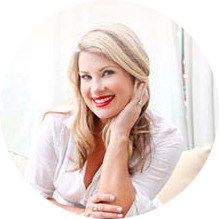 Sign up for my newsletter HERE and I’ll send you a reminder when it is live on the blog! Ashley this is just beautiful. Those roses! Oh my word they are lovely! 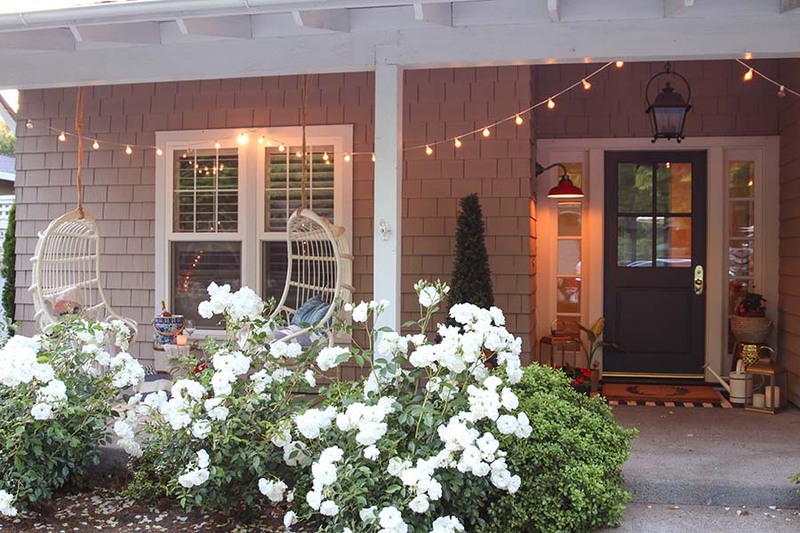 So welcoming and such a happy porch. Thank you so much for this fun recipe!! 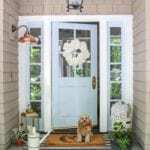 I adore your front porch Ashley!! 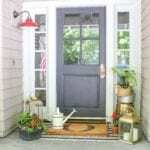 Your porch looks just beautiful and…yum on the rose sangria recipe! 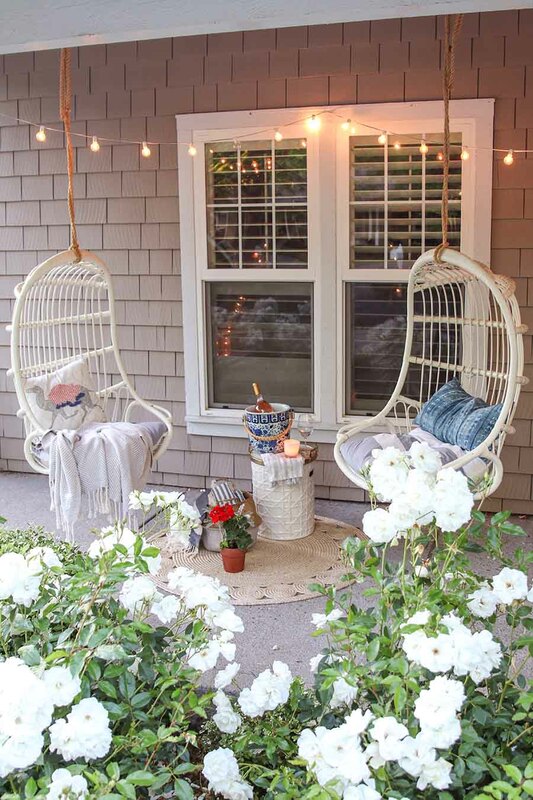 makes me want to have a little porch party! thanks for the tips! Ashley I am In love!! I love all the lights around the space. and that red light..gorg!! 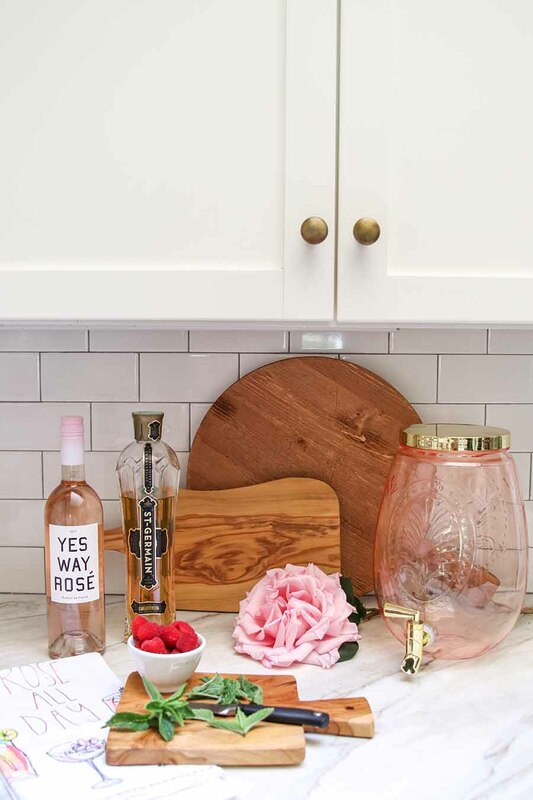 ashley I can’t wait to try the rose sangria recipe! i love your front front, so inviting and fun. I love the camel pillows! 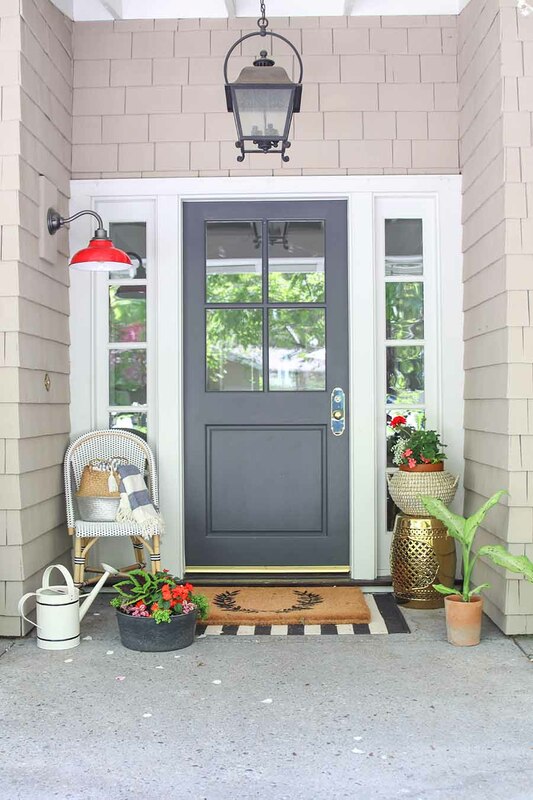 Ashley, your front porch is so fab! I love the swinging chairs and I would totally fall asleep on them too. 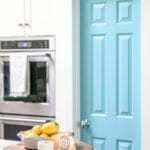 thanks for sharing your beautiful home! Thank you Yuni! I love your fun patio as well! 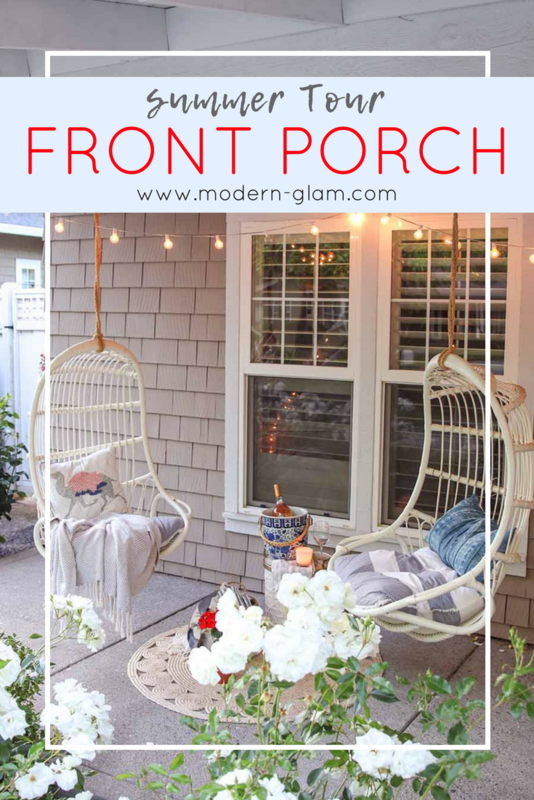 Love your porch!! you have the prettiest front door and those chairs are so amazing. Definitely going to have to try that sangria recipe sounds so good! I love visited your home! Everything is so inviting and pretty! You have such a great style, Ashley! 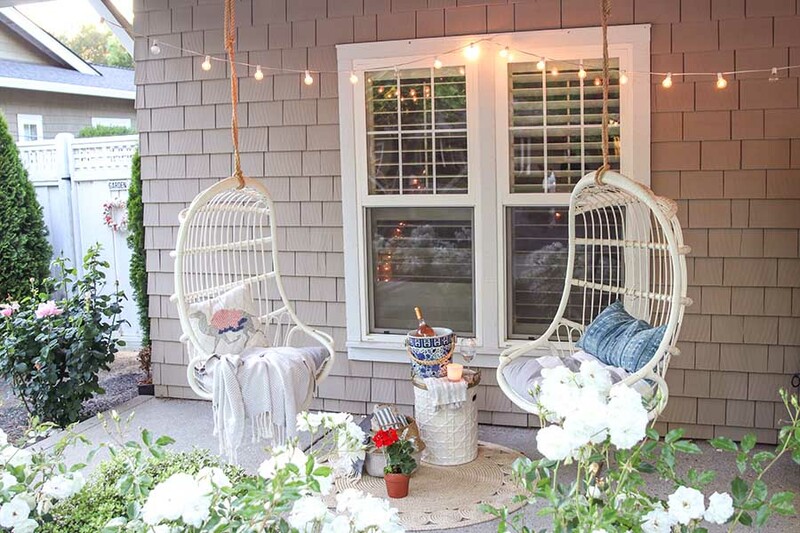 ASHLEY what A GORGEOUS FRONT PORCH set UP! THOSE HANGING CHAIRS ARE SO FUN AND THE COCKTAIL LOOKS DELICIOUS!